Back in 1781, Felipe de Neve, Governor of Spanish California, named a settlement, El Pueblo de Nuestra Senora la Reyna de Los Angeles del Rio Porciuncula. That hardly rolled off the tongue, however, and it soon changed its named to the far-catchier Los Angeles. Even that is too wordy for some and so it is known throughout the world as L.A. It would be fair to say that the City of Angels has come a long way since then. Today, it is the cultural hub of Southern California and the second most populous city in the entire USA, but nobody really cares about all of that: you want to hear about Hollywood, right? The bright lights of Hollywood have captured the imagination of many a young actor and you can’t visit the city without seeing busloads of tourists heading to get a snap of the famous Hollywood sign. It’s not all about the theatre, darling. L.A. has a booming sports scene – mainly centred around the basketball team, the L.A. Lakers, and has held the Olympic Games twice and will do so for a third time in 2028. The majority of cruise ships arrive and depart from Berths 91, 92 and 93 A/B at the World Cruise Center in San Pedro while Carnival Cruise Lines use the Cruise Terminal in Long Beach. The Cruise Center – which was originally a passenger and freight terminal for American President Lines before undergoing a refurbishment project in 2003 – is approximately 25 miles from downtown Los Angeles and 20 miles from LAX Airport. Meaning you’ll have to organise a transfer to get into the city (which will take roughly an hour). TCL Chinese Theatre: Opened in 1927 with the film, The King of Kings, this theatre has been, and continues to be, the home of the Hollywood film premiere. Those who are not content with just seeing the theatre from outside can book a tour to learn more about the history of the venue and the stars it has hosted. The self-proclaimed ‘most iconic movie palace in the world’ is on the Hollywood Walk of Fame – so you can do a bit of star-spotting at the same time! 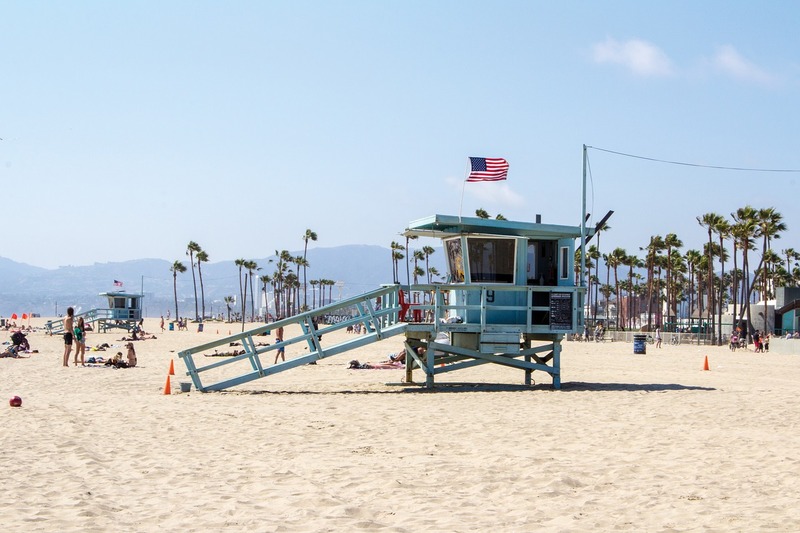 Long Beach: It is tempting to fob Los Angeles – and its ridiculous traffic – off all together and spend the day on the famous Californian coast in Long Beach. There’s old-school theme parks (Knott’s Berry Farm) to get your adrenaline fix, aquariums to spot the local sea life, and plenty of white sandy beaches to lay your towel. Plus, for us cruise-lovers, the original Queen Mary has been turned into a hotel, restaurant and spa. Perfect for a pre-cruise stay! Museums: LA has more museums than any other city in the USA – so we can’t mention just one. Exposition Park includes the likes of the California Science Center, the Natural History Museum and the California African American Museum, while a trip to Museum Row brings the LA County Museum of Art, the La Brea Tar Pits and the Petersen Automotive Museum. Plenty for visitors to get their teeth into, then! Guerrilla Tacos: Mexican cuisine is a point of pride in California – and this hot upstart serves the freshest, most inventive tacos in the city. APL: The big names of Hollywood have been out in force promoting this French-inspired steakhouse – and it is more than worth the hype. Tsujita LA: There’s nothing more comforting than a warm bowl of ramen delivered by those who know what they’re doing. Tsujita LA? They know what they’re doing. Little Tokyo: Go gift shopping for the gaijin in your life in Los Angeles’ Little Tokyo: there’s plenty of manga, Japanese food and treats to share around. Melrose Avenue: Those in need of some retail therapy should head to Melrose Avenue – the best shopping street in the whole of Los Angeles – there’s a clothes shop for every style so go and find yours. Rodeo Drive: Hoping to bump into a celeb? Hang around the super-expensive Rodeo Drive where all the major brands are housed and you just might. Travel around Los Angeles at your own risk. Traffic around the city is famous for being amongst the most congested in the world and, unless you really like traffic jams, is not much fun. If you are planning a trip to North America then you may also be interested in checking out the latest ocean and river cruise news and our most recent USA cruising features.